Seek the blessings for life on Nataraja Abhishekam, a festival observed in association with Lord Nataraja, the dancing form of Lord Shiva. This auspicious time occurs 6 times a year. This is an occasion to minimize all the bad effects of your karma by impressing the divine Cosmic Dancer. 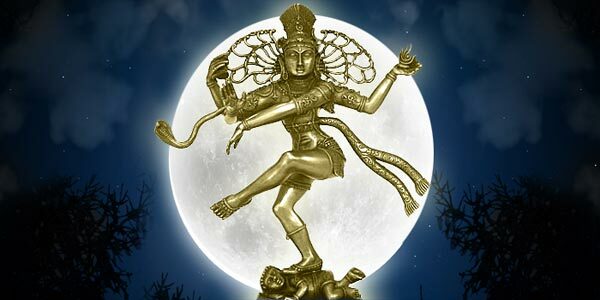 The 1st Nataraja Abhishekam of 2011 falls on February 16th on the 14th Moon phase, just after Pradosham on the 13th Moon. It is believed that Lord Nataraja performs the Ananda Thandava (Cosmic Dance of Bliss) on this day. The divine dance of Lord Shiva in Tillai, the traditional name for Chidambaram, forms the motif for all the depictions of Lord Shiva as “Nataraja”, the King of Cosmic Dance. He is also known as “Sabesan” which means “the Lord who dances on the dais”. The bronze sculpture of Lord Nataraja is considered to be the symbol of Indian Culture. The whole essence of the Ananda Thandavam or the divine dance of bliss is to eliminate the negative energy and to remove the delusions from your minds. So offerings your prayers on Nataraja Abhishekam will raise your positive energy for eternal purity and bliss with the divine energy of Lord Nataraja released during Ananda Thandavam. The divine energies which are released during Ananda Thandavam of Lord Nataraja are known as the Panchakriyas or five gestures. Each of them symbolizes five different concepts. The drum is the symbol for creation, the “fear-not” posture of the hand denotes protection, the fire means destruction, the foot planted on the ground symbolizes embodiment and the foot held aloft is the symbol of bestowment. The dwarf demon which is at the bottom of the planted foot denotes the victory over ignorance and the Kundalini or Prana Shakti is the manifestation of Yogic energy. Nataraja Abhishekam is performed in 6 different times of a year such as early winter, late winter, early summer, high summer, rainy and autumn seasons. This is in co-ordination with the 6 periods of a day i.e. dawn, morning, noon, afternoon, evening and night when the priests perform Poojas in temples. Performing these Poojas will help you to remove the bad effects of karma in life and to receive the blessings for life. You can also experience the supremacy of Lord Nataraja while performing Abhishekam or the holy bath on Nataraja Abhishekam day. We, at AstroVed are also offering you the opportunity to receive the blessings of the cosmic dancer. AstroVed is conducting Abhishekams and Homas on the auspicious occasion of Nataraja Abhishekam, especially to double the effect of dissolution of Karmas and to strengthen your life with powerful positive energies through the blessings of Lord Nataraja. Join us for the special offerings and Abhishekams performed at AstroVed temple to relish a supreme life of purity and prosperity.